Woven Silk France Arras 1915 in Fire WWI | VintagePostcards.com: vintage, old, antique postcards for collectors. 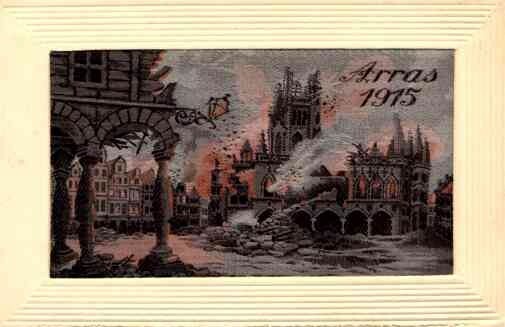 "Arras 1915." World War I, WW1, French.